I can only show you the door. You’re the one that has to walk through it! 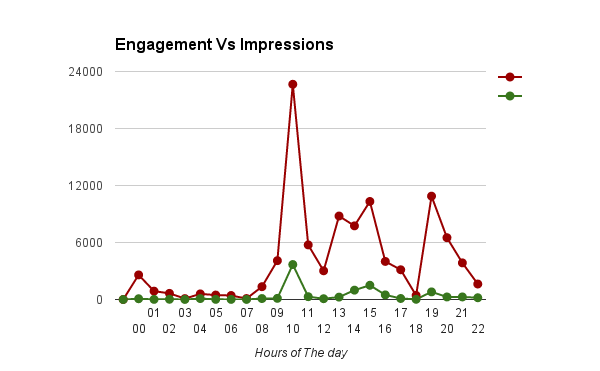 To how to actually find out the best time of the day for you to tweet, we’re going to use the most important 2 metrics (Impressions & Engagements) from past data of tweets we posted during certain period of time, and use this data as a sample. Head over to your Twitter Analytics Dashboard, Twitter recently made it public for everyone in 200 countries! Now export the last 28 days (or change the time period as you wish) we simply need a sample of your tweets! For me this is enough to tell me when my audiences are online and when do they see and engage with my tweets!